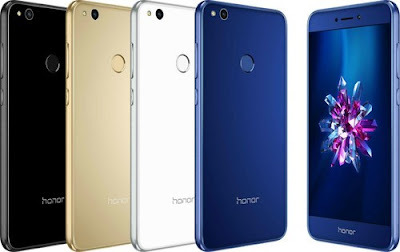 Honor, the leading smartphone e-brand under the Huawei Group, recently announced the Honor 10 Lite in India, and starting today the most stylish AI smartphone will be available in all leading offline stores across India. The AI smartphone will be available in 6GB + 64GB variant at INR 17,999 in Sapphire Blue and Sky Blue colors. To further enhance the customer experience, Honor has also set up an amazing AI studio in 100+ stores across 12 different cities where users can get a hands-on experience of the 24 MP AI Selfie feature at the customized Selfie Studio. Honor aims to spread across leading 4000+ stores. “We’re pleased to see that our latest smartphone the Honor 10 Lite has seen an overwhelming response via the online sales efforts so far; and we’re excited to roll-out the smartphone offline as well, across all major cities in India. We welcome the youth of the country to experience the powerful AI camera at their nearest Honor store, where we’ve for the first time set up customized AI studios across the country. We hope to continue the momentum in the future sales for the device,” Suhail Tariq, CMO Huawei Consumer Business Group. Honor 10 Lite is also available on Flipkart with No cost EMI and exchange offer T&C*. Honor 10 Lite features 15.77cm (6.21”) Dewdrop display, 91% screen-to-body ratio with 19:5:9 aspect ratio, has support for GPU Turbo 2.0 and runs Android 9.0 (Pie) with EMUI 9.0 on top. The AI Selfie camera can recognize eight different scenes (Sky, Beach, Plant, Flower, Stage, Night, Room and Snow) and adjust camera settings to click best ever selfies. The front camera also features AI based facial recognition and light fusion technology, ensuring you always look your best in every scenario and light condition. * AI Shopping: Shop what you see with Intelligent AI shopping experience on various shopping e-commerce platforms in India. The Honor 10 Lite is the successor of the Honor 9 lite that was launched in India earlier in the year 2018. Honor has sold more than 1.5 million Honor 9 Lite devices so far.